How long it takes to convert people to customers with content marketing depends on the sales cycle. That’s a tricky question. Why? Because how long it takes to convert people to customers depends on a big variable – your product’s sales cycle. 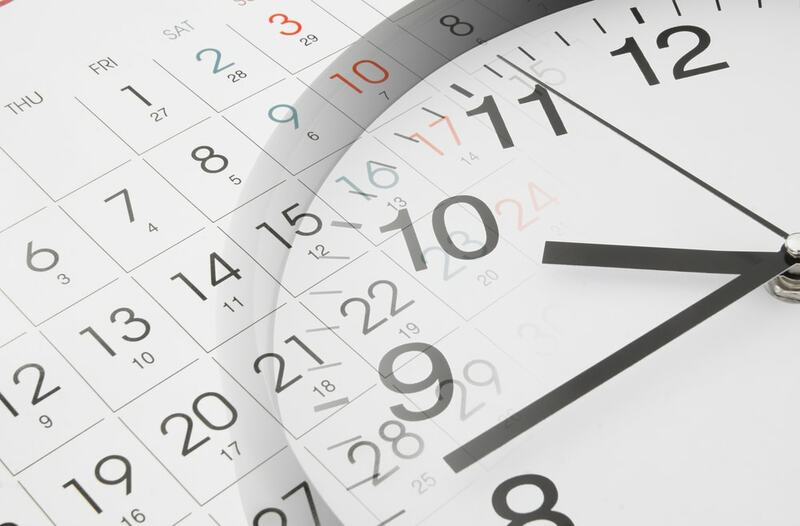 Sales cycle length is unique to your company, your customers, and your products. 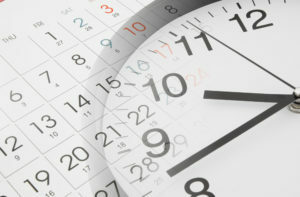 If it usually takes a year to close a sale of your product, expect visible results in 18 to 24 months. If it’s a quicker-moving product that sells in 30 to 60 days, you start to see results in the first 3 to 6 months. It’s wise to carefully choose which market to launch content marketing in, based on the sales cycles of your products. 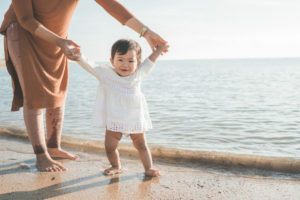 For example, when a CEO wanted to see clear results within the first 12 months, we had to switch from a product with a long sales cycle to one with a shorter sales cycle. Why? Because that was the only way we could show results in 12 months. 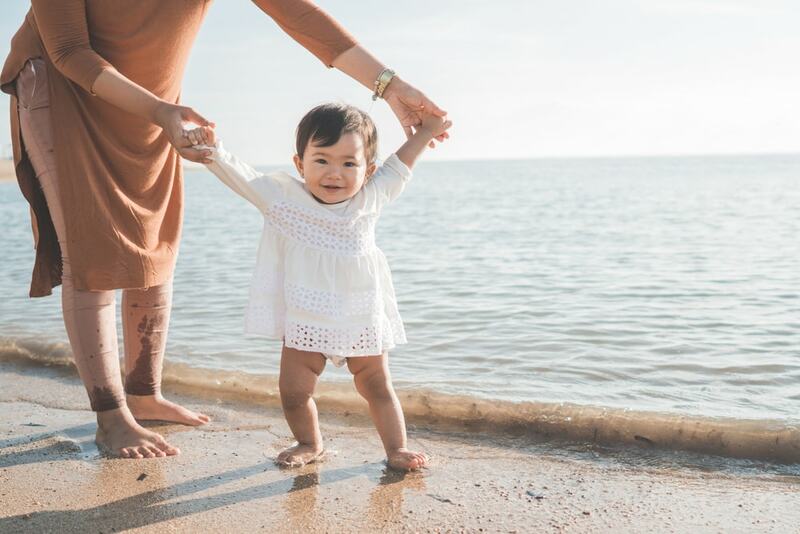 To convert people to customers, take baby steps first. Make a small ask before the big ask. Why make a small ask before the big ask? For the same reasons you wouldn’t propose marriage on a first date. Marketers often ask people for a sale at the first touchpoint. Ouch! Asking for too much, too soon, drives people away. Instead, convert people to customers step by step. First, ask for something small. For example, invite people who have read a blog to read another blog on the same topic. Or to watch a video on that topic. Make a small ask first. Track the “soft conversions” that result. When we rebuilt a company’s website, at first only 10% of website users did a soft conversion. Over 3 years, we used analytics to learn how to increase soft conversions from 10% to 50%. The payoff: as soft conversions increased 5X, so did hard conversions. A “hard conversion” is when people give you their names and email addresses to gain access to gated content. Why do soft conversions lead to hard conversions? Because of the human consistency principle. If I ask for a small favor – may I borrow your pen? – and you say yes, chances are you will say yes to a bigger ask. That’s why it’s smart to ask for small things before you ask for big things. This approach works because we humans have a strong psychological need to think of ourselves as being consistent. Once we say yes, we are predisposed to continue saying yes. To convert people to customers, create lead magnets that are all about your readers. They won’t be able to look away. 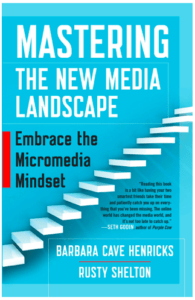 I learned this lesson from marketer Rusty Shelton, co-author of Mastering the New Media Landscape. Many marketers’ websites offer various lead magnets – eBooks, white papers, webinars, videos, document libraries and other gated content. This kind of content works because it’s valuable to readers. But using only these types of lead magnets comes with a built-in problem. All the content you’re offering people is about you, your company, and your brand. What if, in addition, you offered content that’s all about your customers? For example, offer people a free quiz or assessment. Create lead magnets that are all about readers to convert people to customers, Rusty Shelton advises. When authors Katty Kay and Claire Shipman launched their book The Confidence Code, they worked with research scientists to create a 7-minute online quiz. The quiz helps women gain insights into their own level of confidence. Taking the quiz produces a valuable, customized, personalized piece of content that’s all about your reader – not about you or your brand. Another example: I love marketer and author Sally Hogshead’s “How Do I Fascinate” quiz. 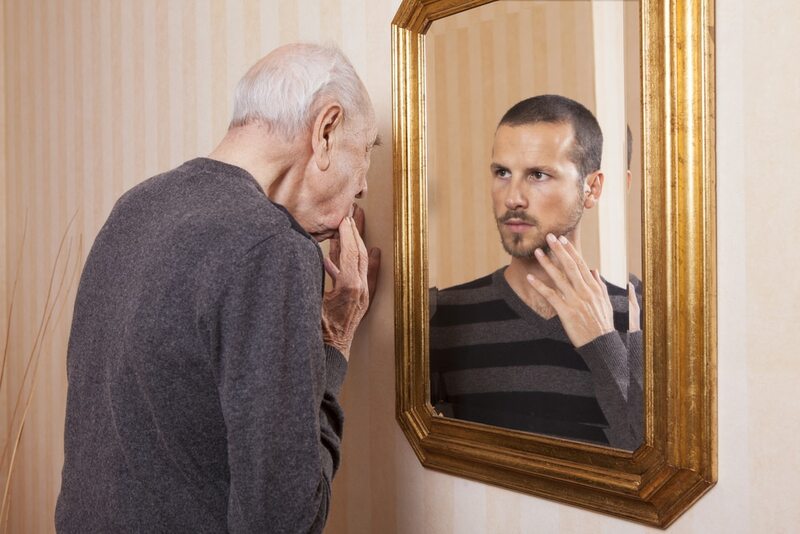 In 5 minutes, it helps people see how they are perceived by others and how to maximize their innate advantages. Both examples are content you can’t look away from. On carefully considered purchases, buyers go through distinct steps in the buyer’s journey. Buyers recognize a problem, evaluate options, seek social proof, and make a decision. Along the way, buyers prefer different types of content. To convert people to customers, make sure you offer the right types of content at each step. 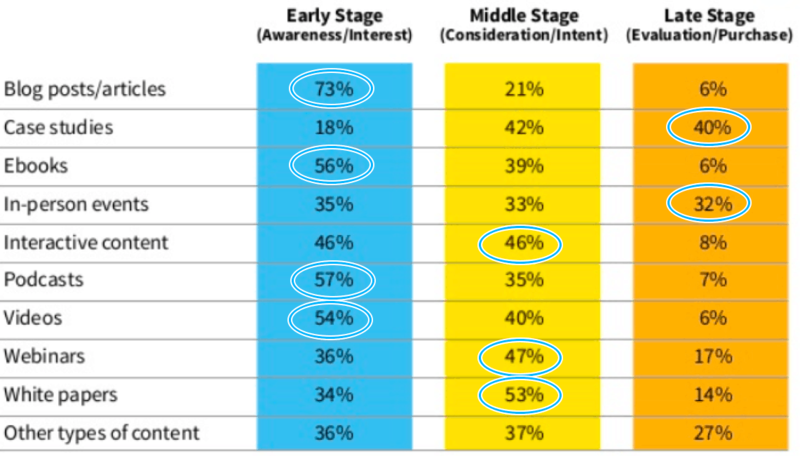 To convert people to customers takes a minimum of 3 types of content, the 2019 CMI/Marketing Profs B2B study found. In the early stage of awareness and interest, the most potent content is blogs and articles, used by 73% of readers. 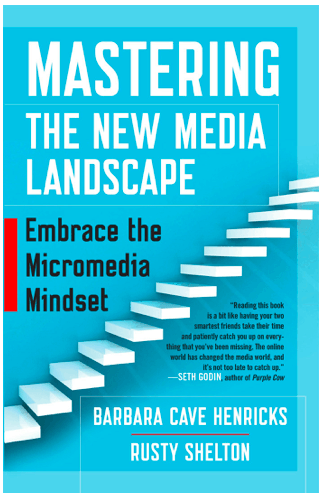 Other content that works in the first step: podcasts (57%), eBooks (56%) and videos (54%). 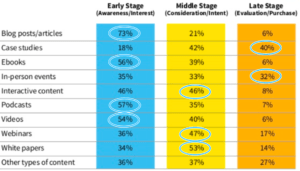 In the middle stages of consideration and intent, buyers prefer long-form content like white papers (53%), webinars (52%) and interactive content (46%). In the late stages of evaluation and purchase, 40% of buyers use case studies and 32% attend in-person events. No one type of content can carry a buyer all the way through the journey from awareness to purchase. A blog, alone, won’t cut it. It takes a minimum of 3 types of content to get buyers from start to finish. This begs the question about how much content and which types to offer. 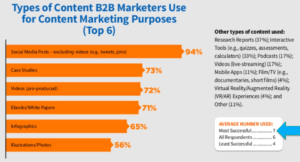 To convert people to customers, the most successful B2B marketers use 7 types of content, the 2019 CMI/Marketing Profs study found. 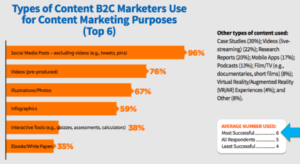 The 2018 CMI/Marketing Profs study found that the most successful B2B marketers use 7 types of content. 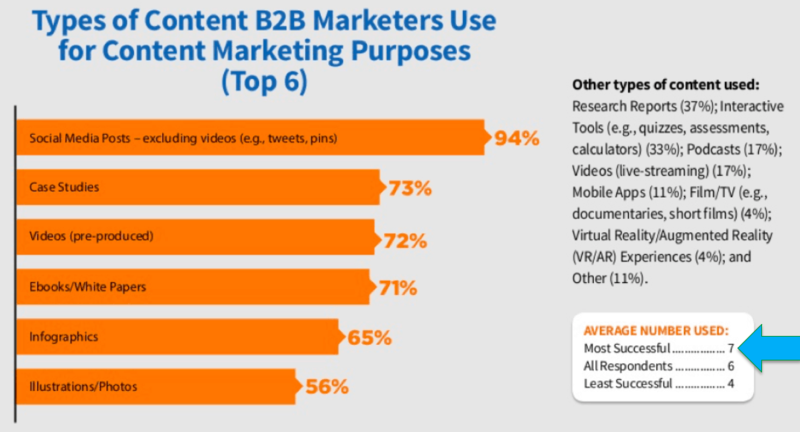 The top 7 types of content for B2B marketers are: social media (94%), case studies (73%), videos (72%), eBooks and white papers (71%), infographics (65%), illustrations and photos (56%) and research reports (37%). 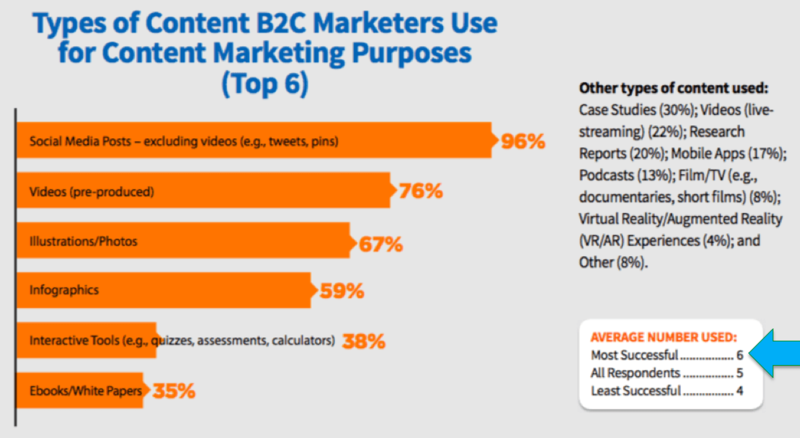 CMI and Marketing Profs found that the most successful B2C marketers use 6 types of content. To convert people into customers, the most successful B2C marketers use 6 types of content. The top 6 types for B2C marketers are: social media (96%), videos (76%), illustrations and photos (67%), infographics (59%), interactive tools (38%), and eBooks and white papers (35%). Pay attention to the length of the sales cycle. Make small asks before a big ask. Serve up content that’s all about your reader. Offer content to fit buyers’ needs at each step. 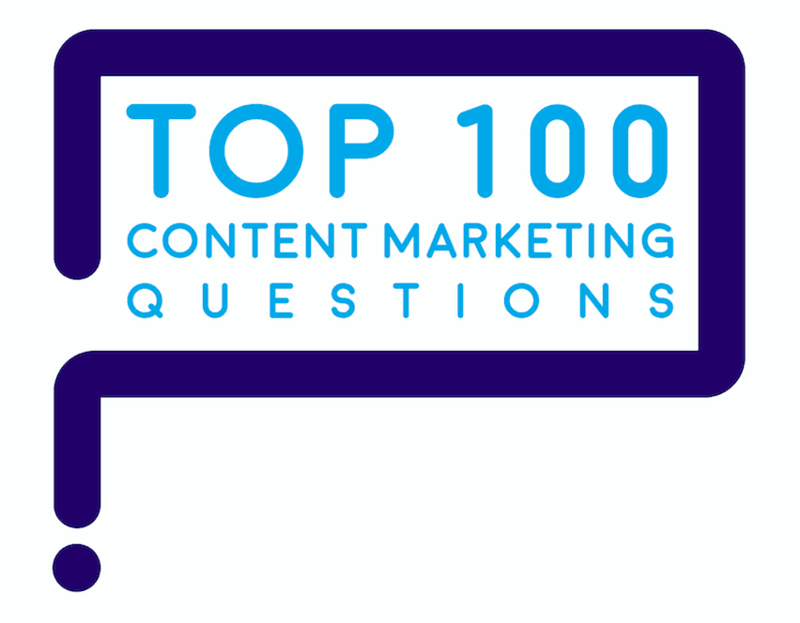 Here are the answers to marketers’ Top 100 Questions about content marketing. 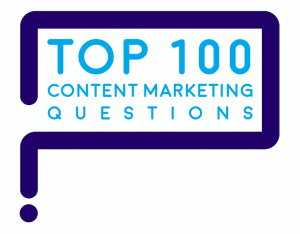 “How long does it take to convert people to customers using content marketing?” is one of marketers’ Top 100 Questions about content marketing. Here are the answers.